The healthcare sector has recently become a desirable target for cyber crooks. 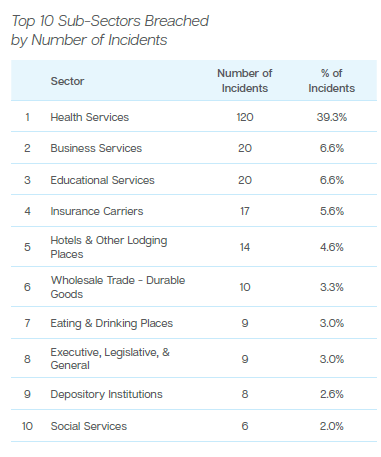 According to Symantec ISTR report statistics, healthcare was the most breached sub-sector in 2015, comprising almost 40% of all the attacks. Hospital security systems are generally less secure than those of financial organizations, as monetary theft has always been perceived as the greatest threat for organizations, and dangers to other sectors were usually underestimated. Moreover, awareness of cyber-attacks against hospitals and medical centers is much lower than it is to financial cybercrime, and as a result, the employees are less well-trained on how to avoid falling victim to a cyber-attack. Only lately, this concept has started to be challenged, revealing the potential damage that can be caused by the theft and leakage of patient data. However, the ‘bad guys’ remain one step ahead and during the last few months, we have witnessed a spate of attacks targeting the healthcare industry: ransomware attacks encrypting essential data and demanding payment of a ransom, numerous data leakages revealing confidential patient data, unauthorized access to medical networks and even the hacking of medical devices, such as pumps and X-ray equipment. Moreover, the healthcare sector is being targeted by hackers not only directly, but also via third-party companies in the supply chain, such as equipment and drug suppliers. These companies usually store some confidential data that originates in the hospitals’ databases and may even have access to the hospital IT systems, but they are far less secure than the hospitals themselves. Thus, they serve as a preferable infiltration point for malicious actors pursuing the theft of medical data and attempting to infiltrate the hospitals’ networks. The consequences of attacks on the healthcare industry may be extensive, including the impairment of the medical center functioning, which may result in danger to human lives in the worst case scenario. In other cases, personal data will be stolen and sold on underground markets. Cybercriminals will take advantages of these personal details for identity theft or for future cyber-attacks combining social engineering based on the stolen details. While monitoring closed Deep-Web and Darknet sources, SenseCy analysts recently noticed a growing interest toward the healthcare sector among cyber criminals. Databases of medical institutions are traded on illicit marketplaces and closed forums, along with access to their servers. In the last few months alone, we came across several occurrences indicating extensive trade of medical records and access to servers where this data is stored. The first case, in May 2016, was the sale of RDP access for a large clinic group with several branches in the central U.S., which was offered for sale on a Darknet closed forum. 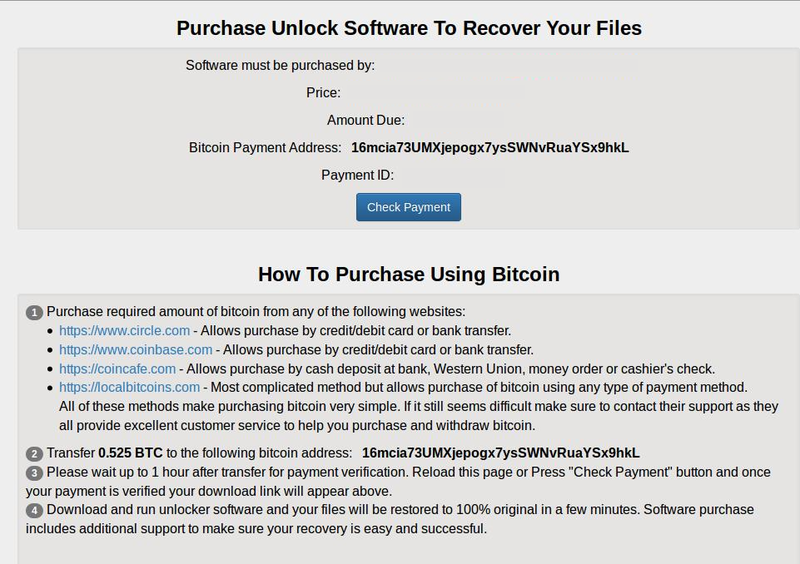 For a payment of $50,000 Bitcoins, the buyer would receive access to the compromised workstation, with access to 3 GB of data stored on four hard disks. 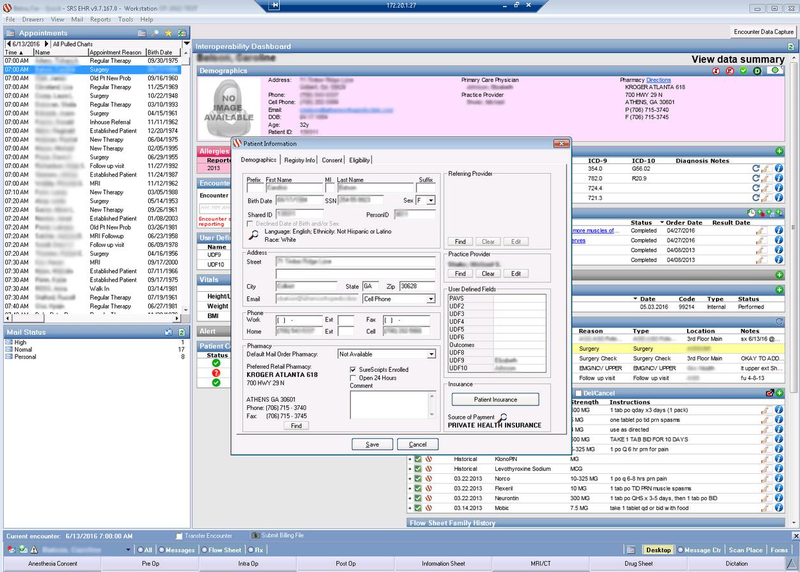 Additionally, the workstation allows access to an aggregate electronical system (EHR) for managing medical records, where data regarding patients, suppliers, payments and more can be exploited. Although the seller did not mention the origin of the credentials he was selling, he claimed that local administrator privileges could be received on the compromised system. He also specified that 45 users from the medical personnel were logged into the system from the workstation he hacked. The relatively high price for this offer indicates the high demand for medical information. With RDP access, the potential attackers can perform any action on the compromised workstation: install malware, encrypt the files or erase them, infect other machines in the network and access any data stored in the network. The consequences can be tremendous. Just a few weeks later, in June 2016, our analysts detected another cyber-accident related to healthcare. This time, three databases allegedly stolen via an RDP access to a medical organization were offered for sale for more than $500,000 on a dedicated Darknet marketplace. In one of his posts, the seller claimed that one of the databases belongs to a large American health insurer. Before long, we again discovered evidence of hacking into a medical-related organization, this time by Russian-speaking hackers. On one of the forums we monitor, a member tried to sell an SSH access to the server of an American company supplying equipment to 130 medical center in the U.S. He uploaded screenshots proving that he accessed the server where personal data of patients is stored. 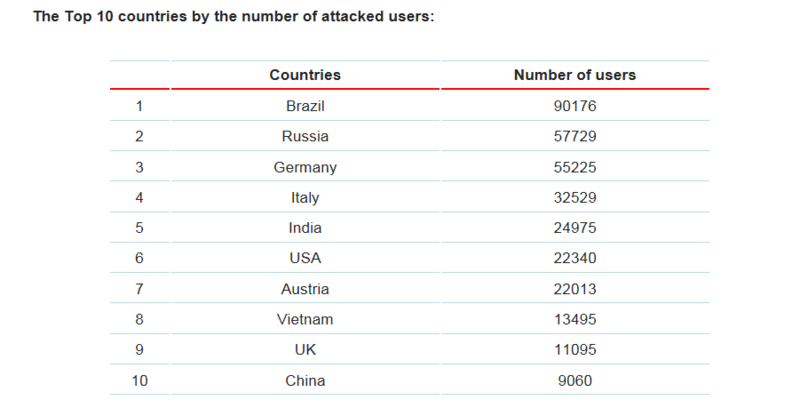 Implement a strong password policy, because many hacks are a result of brute-force attack. Strong passwords and two-factor authentications to log into organizational systems should be the number one rule for medical organizations. Instruct the employees to follow cyber security rules – choosing strong and unique passwords, spotting phishing email messages, avoiding clicking on links and downloading files from unknown sources, etc. Consider periodic training for employees on these issues to maintain high awareness and compliance with the rules. Use Cyber Threat Intelligence (CTI) – to keep up with the times regarding the current most prominent threats to your organization and industry. 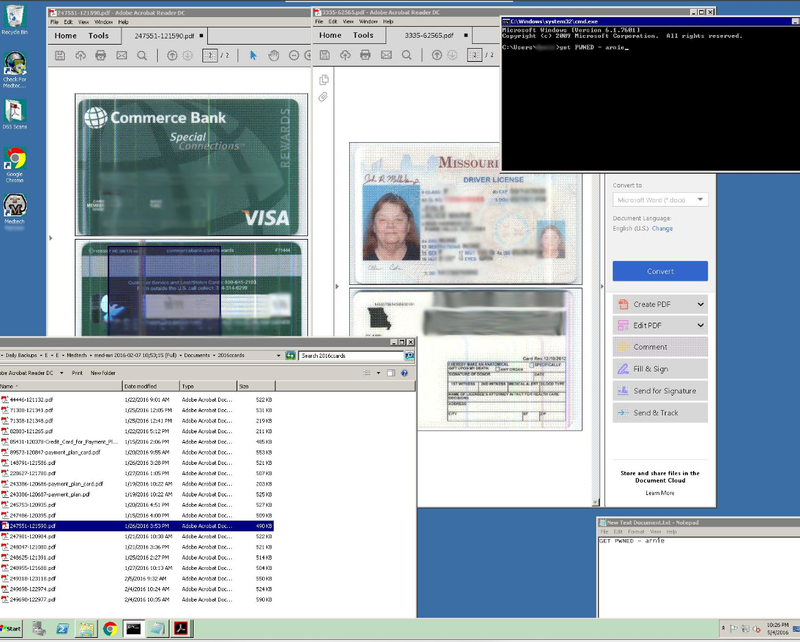 In a successful MitM attack, the hacker infiltrates a web session between a bank and a bank customer, intercepts the messages they are exchanging, including credentials and classified information, and injects new messages, all without arousing the suspicion of either party. In most cases, the injections are tailored to the victim. In other words, the victim sees a website purporting to belong to the specific bank whose site the victim is attempting to access. 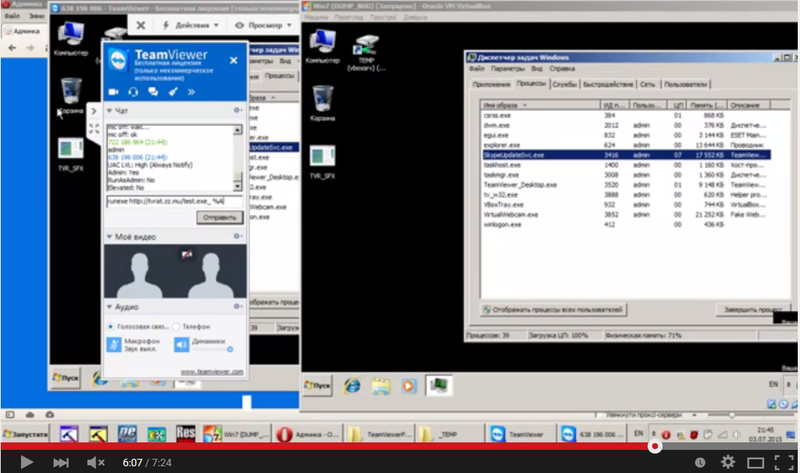 The injections are delivered via banking Trojans such as Zeus. On closed forums, injections are sold as separate modules for banking malware. 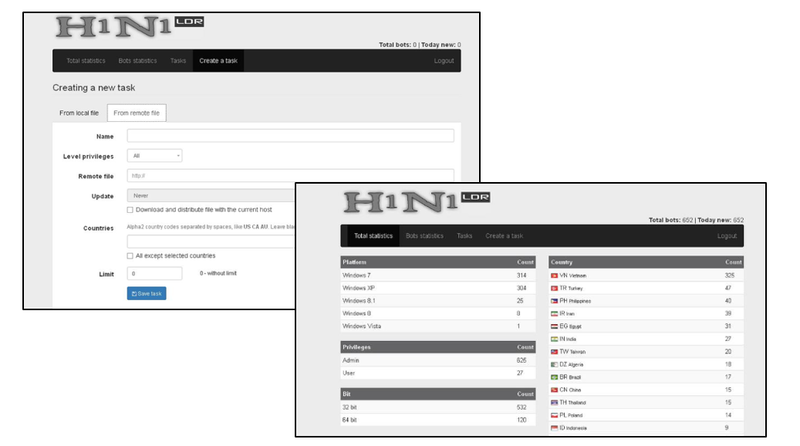 On one of the leading Russian-language cybercrime forums, we recently discovered a new thread offering web-injection services. The author was selling a large variety of injections for banks and online services in the United States and Canada. 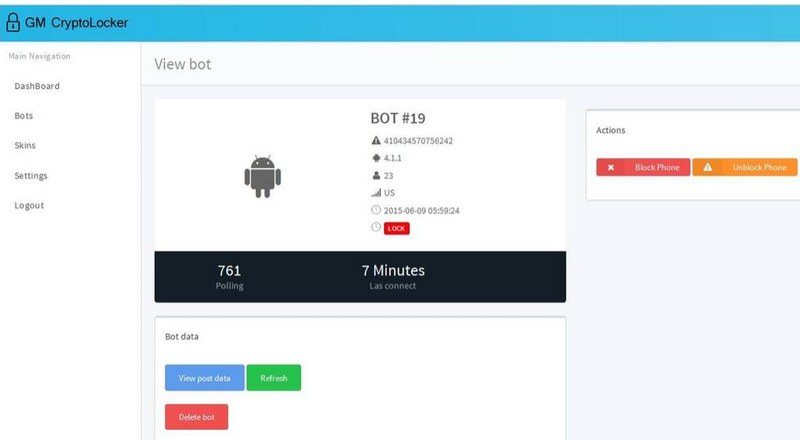 According to the thread, the service includes an administration panel for managing the infected machines and stolen data, the ability to change the victim’s banking account balance (after a money transfer was performed), the ability to grab answers to security questions, and many other features. The prices are quite affordable and vary from $50 to $150, though it should be noted that anyone wishing to carry out an MitM attack should already possess a botnet of machines infected with banking Trojans. 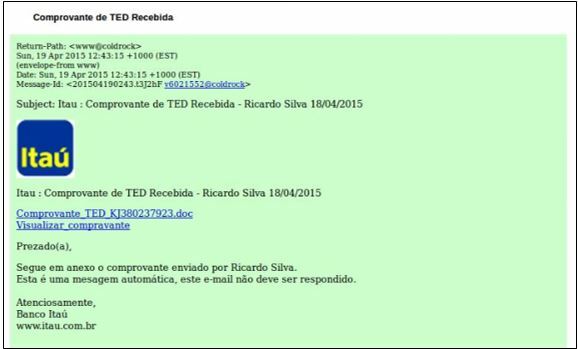 When the victim tries to access his bank account, the attacker intercepts the session and displays a fake webpage that is very similar to the real bank’s site. The victim is asked to fill in login credentials, answer security questions, provide credit card data, and more. 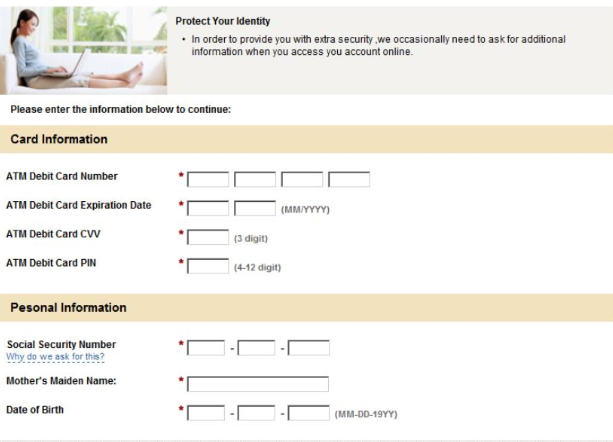 The attacker immediately receives the information through the administration panel and can use it to transfer the money, while the victim receives a connection error and simply tries to connect to the bank’s website one more time. Detecting such an attack can be difficult, since one failed connection to the bank website or minor differences between the design of the fake page and that of the real page do not usually arouse the victim’s suspicions. In addition, as mentioned above, the account balance that the victim sees does not change after the money has been stolen. 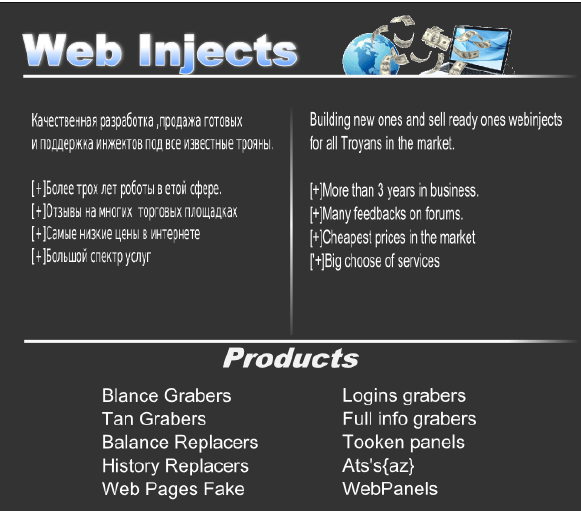 The seller has launched a website to promote sales of the injections he coded. The site contains samples of injections for banks in the United States and Canada and for online services such as PayPal and Ebay. The targeted banks are Wells Fargo, HSBC, Citizens Bank, Scotiabank, RBC Bank, and many more. There was a section in the site indicating that European institutions will be targeted in the future.